The beer mile is a fringe sporting event where competitors drink four beers and run 1.6 kilometres. Once a season-end party event for college and university athletes, it's now trying to become a mainstream sports event. It was a cross-country running injury about a year ago that put Lewis Kent on a trajectory to become "the face" of the beer mile, a fringe competition that's gaining momentum after Kent shattered a record at the sport's world championship. During a race, runners chug a 355-ml beer, run 400 metres and repeat until they've downed four beer and run 1.6 kilometres. Anyone who vomits during the race incurs a penalty lap. 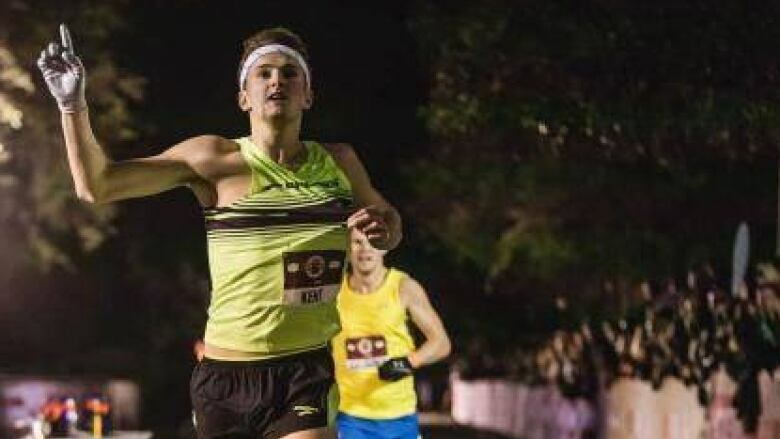 Kent, a 21-year-old kinesiology student at Western University in London, Ont., recently crossed the finish line at four minutes and 47 seconds at the Flotrack Beer Mile World Championship's second annual event in Austin, Texas. Post-win, Kent became a media darling. He graced the stage of the Ellen DeGeneres Show and courted corporate sponsors. That momentum could help propel the fringe sport into the mainstream, with elite beer milers soon travelling the world to compete in a race circuit similar to Formula One drivers, at least according to some. "I've been slowly putting pieces into play to make [the beer mile] a global tour," says Kris Mychasiw, a managing partner at Sprint Management, and Kent's agent. For that to happen, though, Mychasiw has been clear with his client: "You need to be the face of it." Like many athletes, Kent first encountered the beer mile through post-secondary sports. He's on the roster for the Western Mustangs track and field, and cross-country teams. Each year, the athletes organize a casual race to celebrate the end of their season. That type of event is likely how the sport started, according to BeerMile.com, but no one knows exactly when or on which North American campus. In the fall of 2014, an injury forced Kent to shorten his cross-country competition season. He returned to training with the team after a few weeks on the sidelines, but — with no cross-country meets on the horizon — needed an outlet for his athleticism. 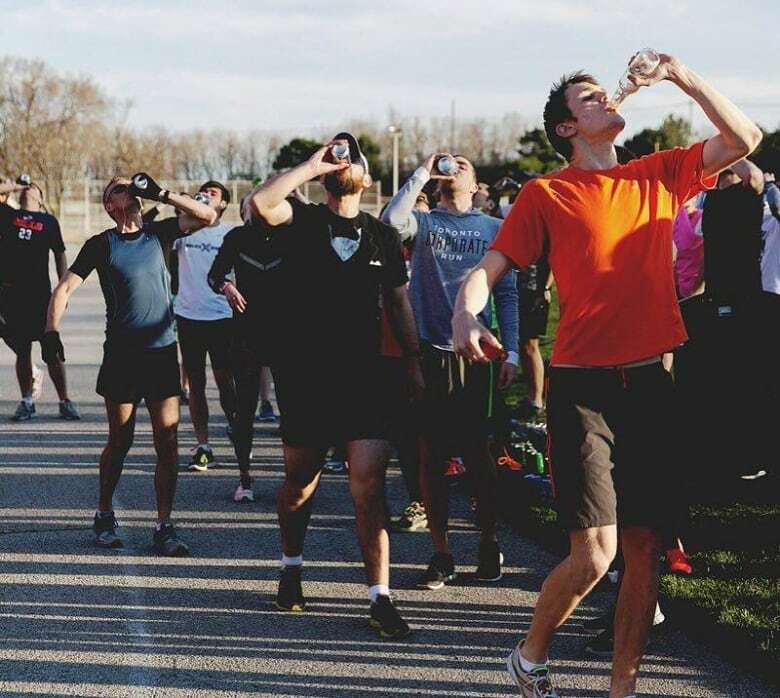 His teammates discovered the upcoming, inaugural FloTrack Beer Mile World Championships. At the time, Kent clocked a sluggish, plus-six-minute race. "I kind of made it my personal goal to get quicker at it," Kent says. His time steadily decreased, until he ran a five minute and 32 second race, and placed fifth at the December 2014 championship. Kent wasn't discouraged. He continued his training, which includes surprisingly little alcohol. He mostly practises with non-alcoholic beer or carbonated water, and says his doctor OK'd his regime. The following November, Kent clocked the fastest beer mile ever. At the world championship in December, he edged out the previous champion, also a Canadian, by one second, creating a new world record and winning $5,000 US. 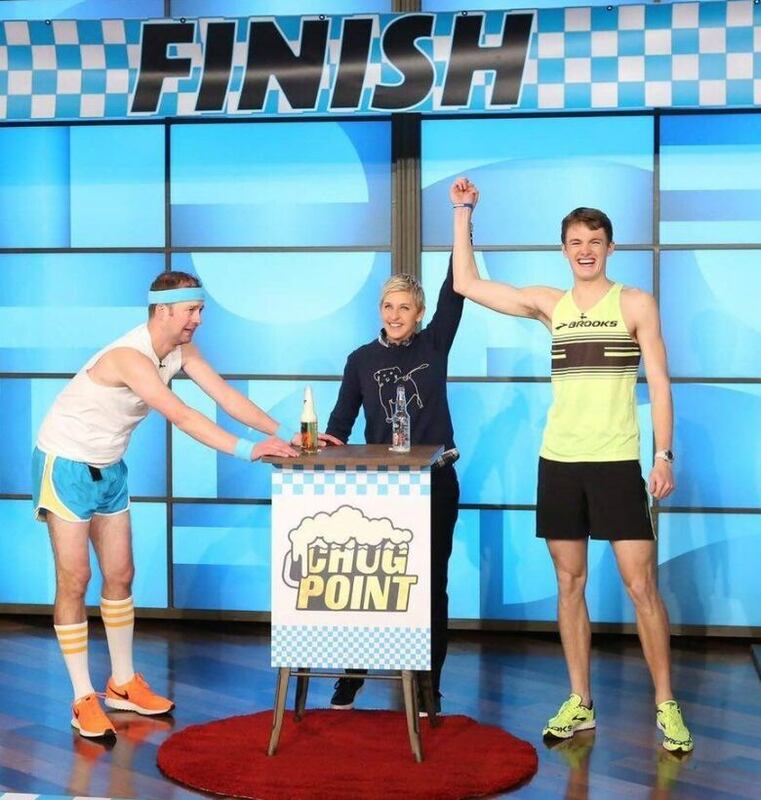 Kent catapulted to A-list status in the beer mile world. He signed with an agent and became the first beer miler to secure a long-term sponsorship. The athletic apparel company Brooks is "supporting me going forward with my pursuit of the beer mile," Kent says. He's been hinting at another big sponsorship deal, tweeting teasers like "something good is 'brewing.'" His agent, Mychasiw, has been working to bring a beer company onto Kent's team, and an announcement is expected in 2016. Mychasiw hopes Kent won't be limited to just two beer runs this year. Currently, only two seemingly official races exist: the FloTrack world championships and the Beer Mile World Classic in San Francisco, Calif.
FloTrack is already planning on sanctioning several regional qualifying races throughout the U.S. and Canada next year, says Max Crutchfield, the company's director of owned events. Once that model is tested, Myschasiw wants to arrange for a points-based circuit, similar to how Formula One drivers race. If it pans out, that means that in 2017 Kent and other elite beer milers, including women, would travel to about a dozen races around the world, earning points at each one. A champion would be declared at the final event, awarded a trophy and a "big, sizeable cheque." Mychasiw thinks the sport's growing popularity makes it possible. About 2,000 people watched Kent win the world championship in Austin, he says, so the audience exists. The races can bring in more people by organizing open heats alongside the elite races, he says. At last year's world championship, about 260 non-elite runners competed in beer mile open heats, says Crutchfield, who adds that FloTrack is also considering the Formula One model for the sport. "I think we'll eventually get there." But if that plan succeeds, Kent may only ride the glory of his beer mile success a short while longer. As the sport grows to include sponsorships and large cash prizes, Kent worries athletes who professionally race the one-mile distance will be lured into trying the sport. The world record for the fastest mile is just over three minutes and 43 seconds, according to the International Association of Athletics Federations. If athletes whose personal-best mile time is faster than Kent's participate in beer mile races, there's a good chance they'll finish faster than him. Still, that fear won't stop Kent from participating as long as he can. "I want the beer mile to grow as big as possible," he says. And if a beer mile race circuit opens in 2017? "I'll be there. One hundred per cent."